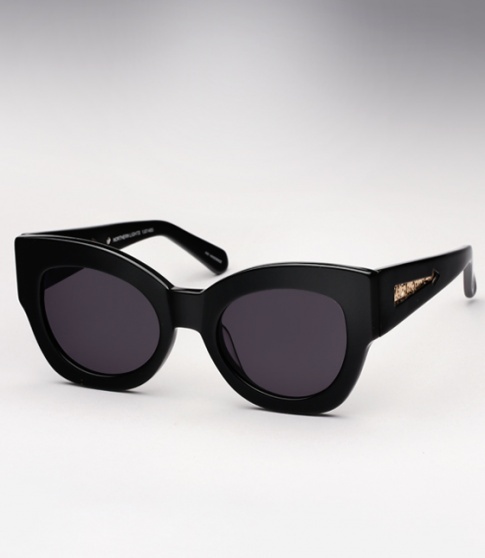 Karen Walker Northern Lights - Black Need Help? The Karen Walker Northern Lights is a very well-proportioned chunky cat-eye sunglass. It features Karen Walker's arrow detail at the temples with an embedded metal signature design for an added subtle and unique touch. It is offered here in classic black paired with "smoke" lenses.